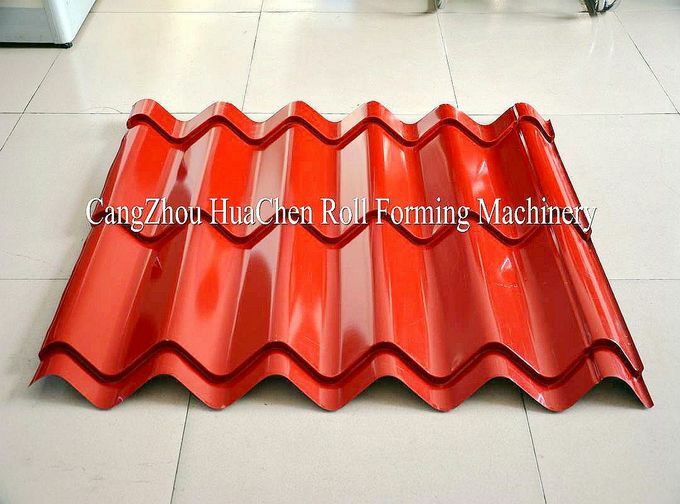 The colored iron steel metal tiles produced by glazed tile roll forming machine look beautiful, elegant and noble.They are widely used as the roof of garden, factory, hotel, exhibition center and villa, etc. 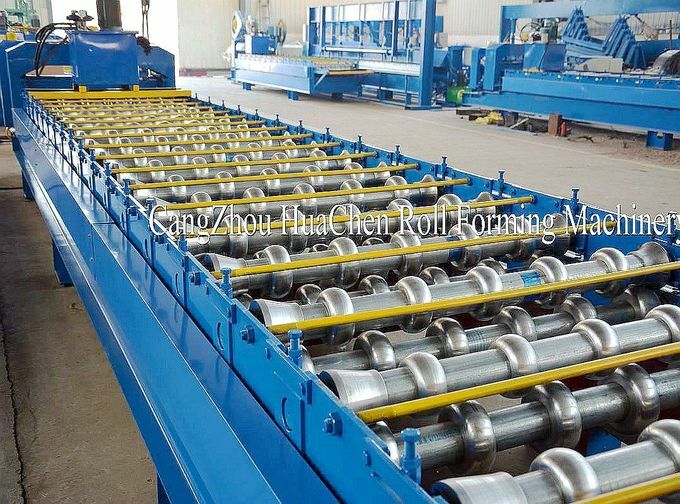 Coil width: 1250mm or 1220mm or 1200mm, customized. 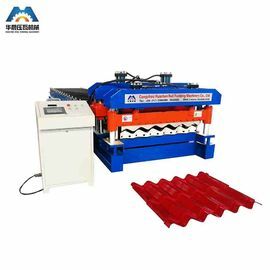 This tile roll forming machine suits for coiled metal material, make required shape after processing of uncoiling, forming continuously pressing and cutting to length. Adopt PLC controlling system, AC frequency adjusting-speed technology, so that realize automatic production continuously. 3. One set of machine needs a 40' container to shipping.